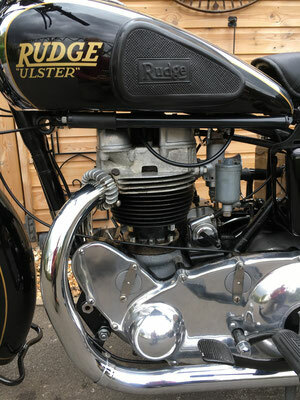 Daniel Rudge had been the landlord of the Tiger's Head public house in Wolverhampton. 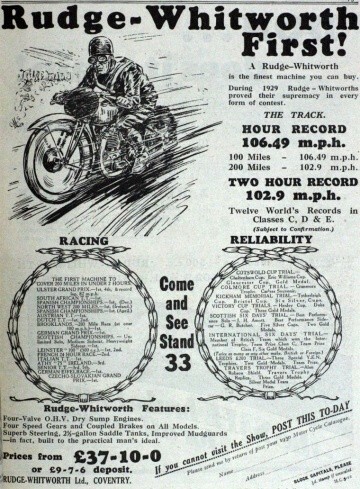 His close friend was Henry Clarke, who started a wagon wheel building business and then ran the Cogent Cycle Co. Daniel was interested in racing, and with Henry's help he began to build his own racing machines at 19 Church Street, Wolverhampton, which included an improved form of wheel bearing. 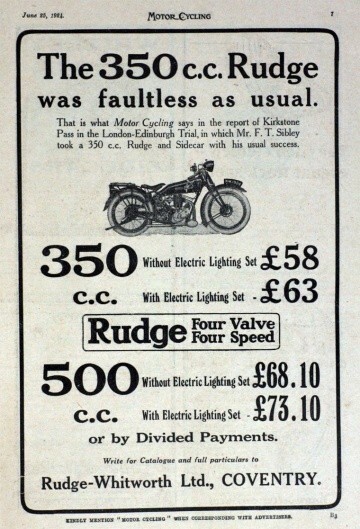 Many people wanted his bicycles, and in 1870 he started building and selling racing machines. 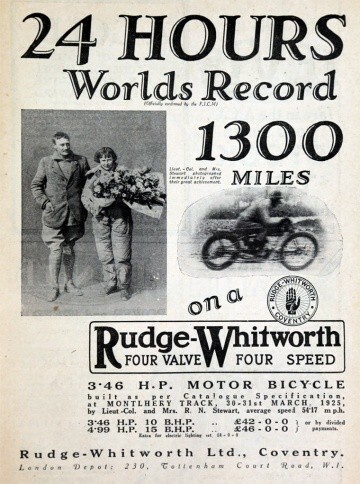 He made many improvements to his bicycles and they soon became the best racing machines that were available at the time. 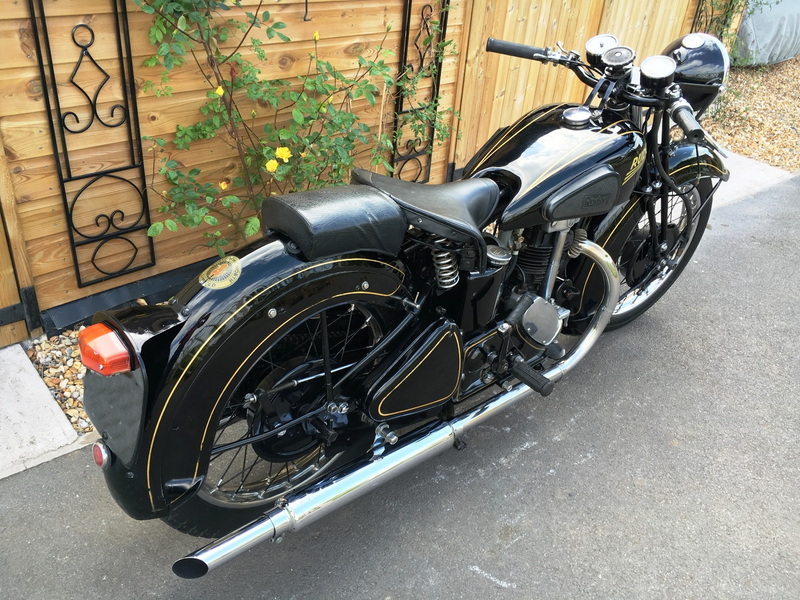 Woodcock had also purchased the assets of the collapsed Haynes & Jefferis firm in 1879 and relocated the combined business to Ariel Works, Trafalgar Street, Coventry in 1880 having taken over the business of the Tangent and Coventry Tricycle Company. In 1885 the business was transferred into a private limited company called D. Rudge & Co. Ltd. 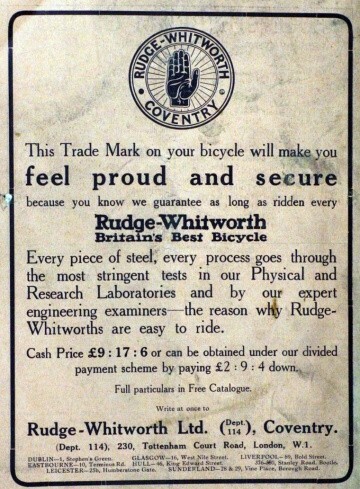 It became the Rudge Cycle Co Ltd, Coventry, on 21 October, 1887, a public company with capital of £200,000. 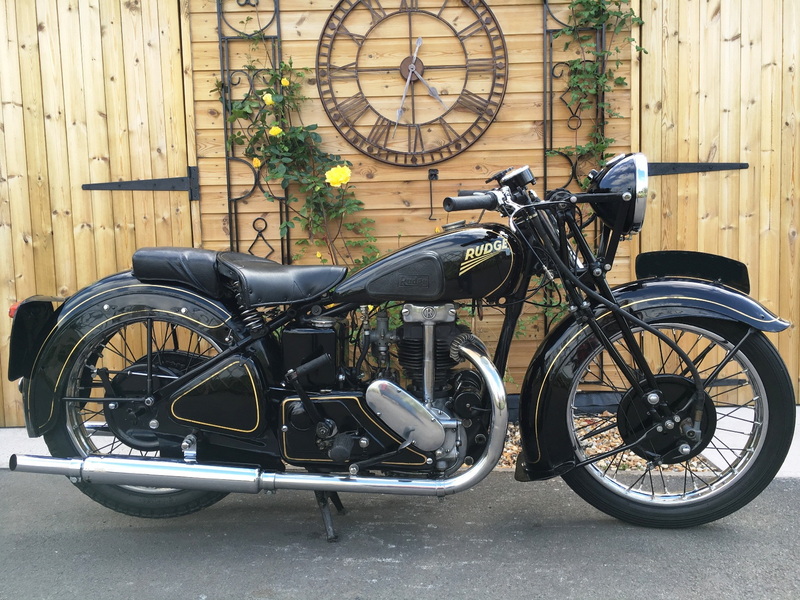 Walter Philips was the renowned works manager and Lawson, H. J., the sales manager. Stoddard & Lovering of Boston, Mass. were the US agents. 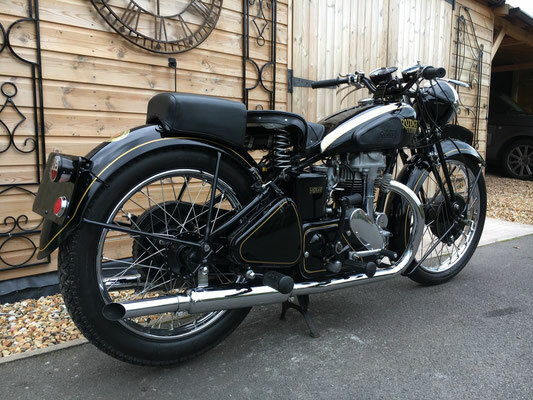 Maker of the Ariel, Emperor, Mechanic's, Rudge's Swiftsure and Tangent high wheelers. The No.2 Ordinary was one of the best known competitive machines of its era which pioneered adjustable ball races on wheels and pedals. 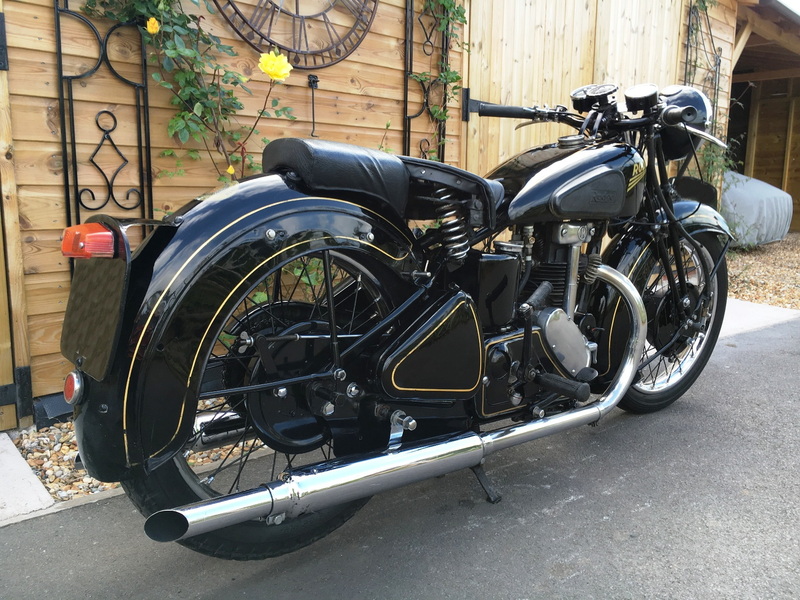 Other competitive features pioneered by the company were hollow backbones and lighter tangentially spoked wheels. 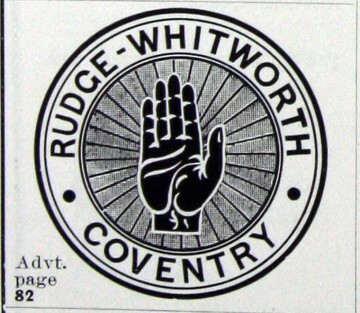 Although Rudge took over manufacture of the Coventry Rotary from Starley & Sutton from 1885, the name Coventry Rotary was retained through to 1892 in Rudge catalogues, when production ceased. 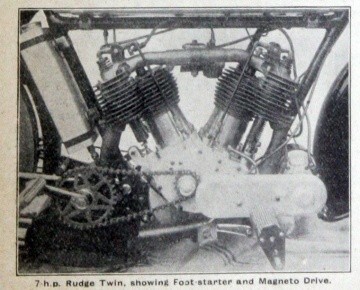 The Triplet Tandem Quadricycle Direct Steering Roadster was produced from 1888. 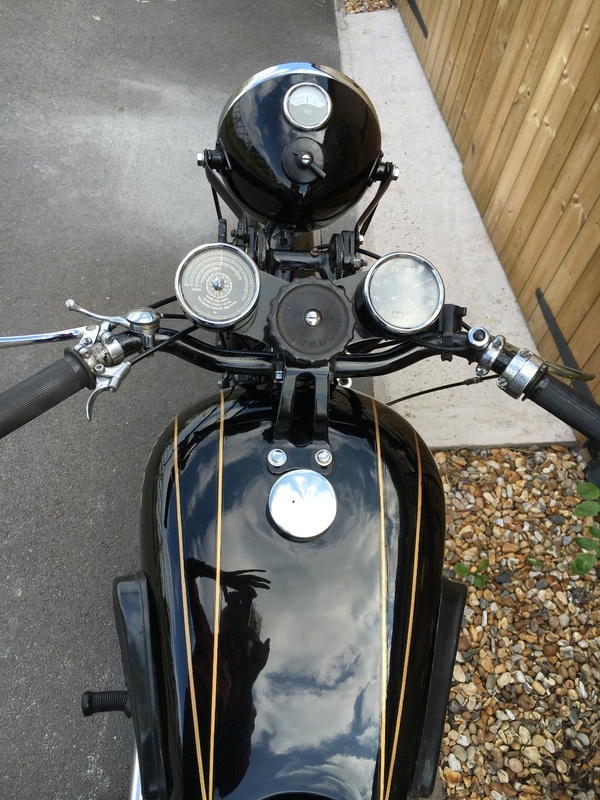 The Royal Crescent tricycle was made for about three years from 1886. 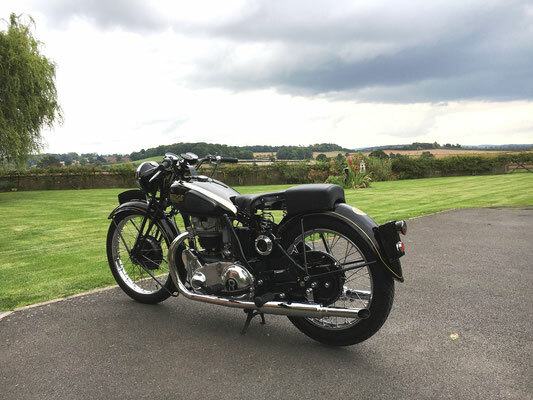 It was introduced in Roadster, Ladies and Racer forms. 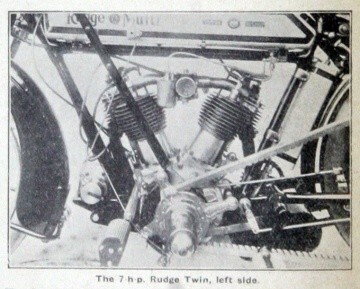 Also the Royal Crescent tandem tricycle. A Parcels Carrier and Parcels Express were made before 1892 as well as the Roadsculler and Triplet. The Rudge cross-frame safety was patented in 1887 and sold as the Rocket. 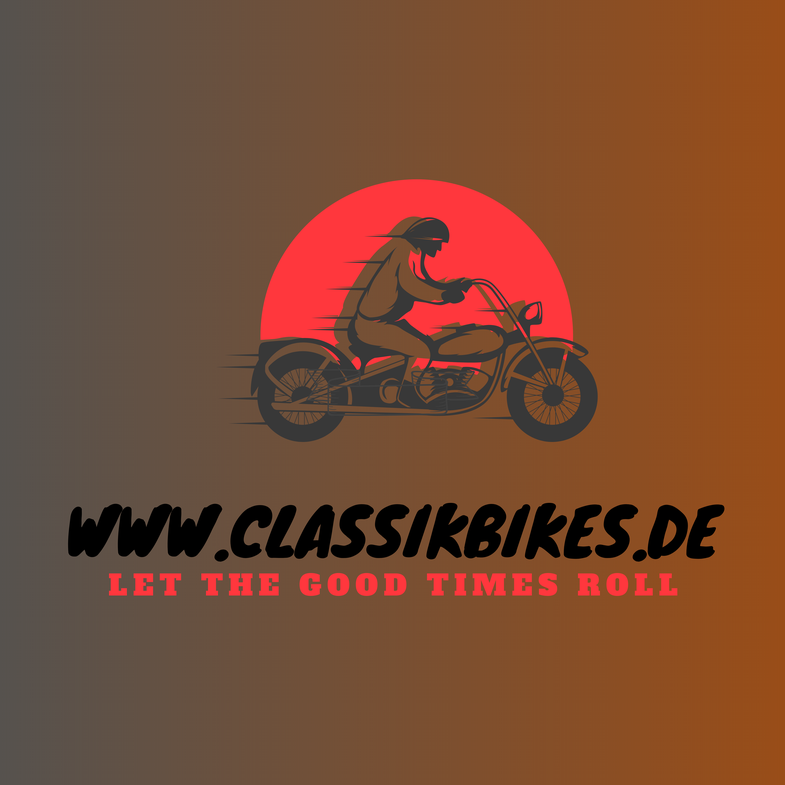 By 1889 the company was making safety bicycles with diamond pattern frames but with halved tubes for lightness named the Bicyclette. The company produced the Déesse brand for sale in France. In 1894 it built the Giraffe safety, along with Starley, J. K. & Co., under licence from Humber & Co. Ltd.
A little-known fact (that ties in with the history of Cyclemaster) is that after Rudge Whitworth fell on hard times in the Great Depression, the music company EMI bought the Rudge name. 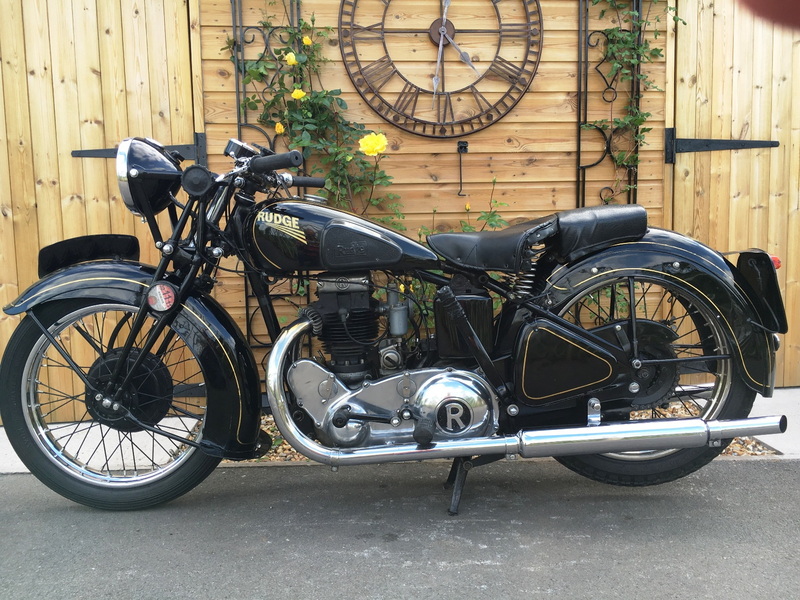 EMI produced bicycles under the Rudge name from 1935 until 1943 when they sold the name to Raleigh. 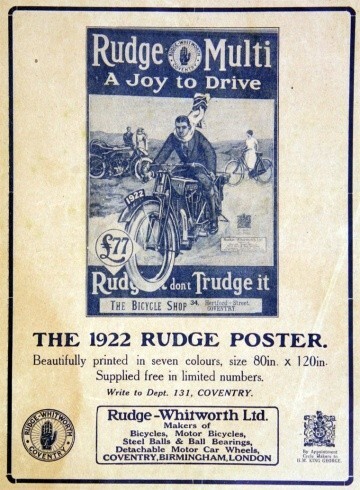 In 1938 EMI centralized production in Hayes: Rudge's Coventry factory closed and re-opened next to EMI. 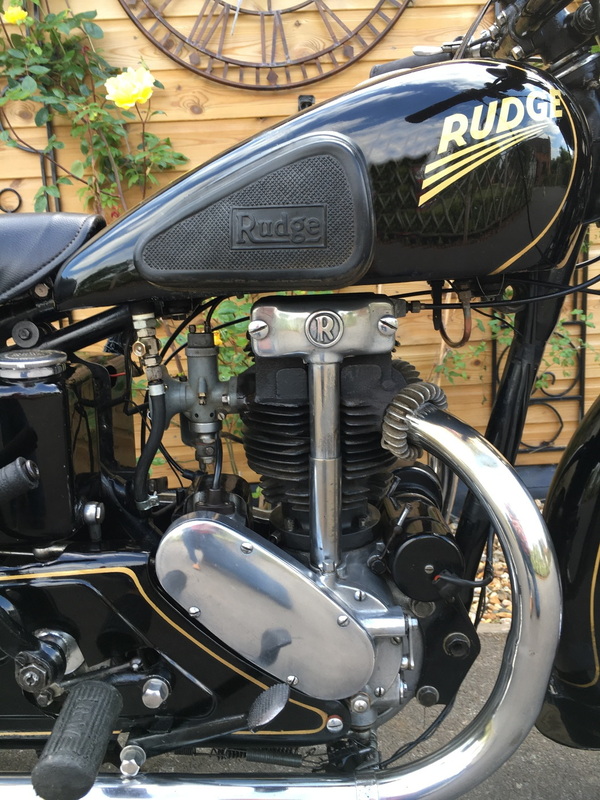 1939 saw the prestigious Rudge name associated for the first time with a motorized bicycle - the 98cc Rudge Autocycle. 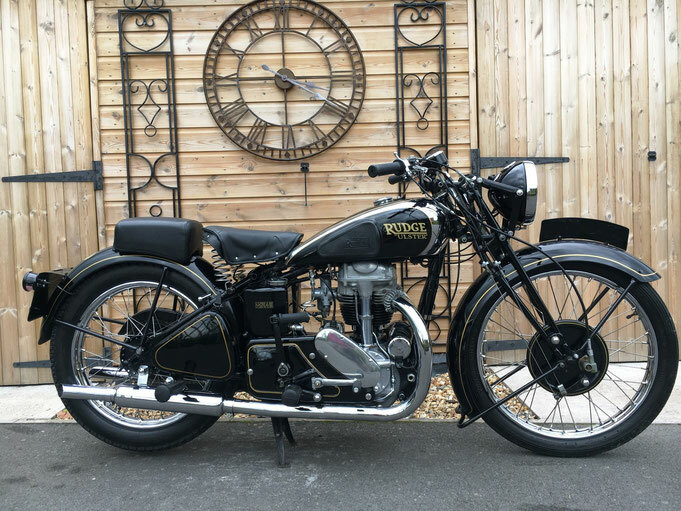 It was short-lived though: the Rudge factory was taken over by EMI for the manufacture of radar equipment during the War, and the remaining autocycles were passed on to the Norman company. In 1929 Graham Walker won the Ulster Grand Prix averaging over 80 mph. 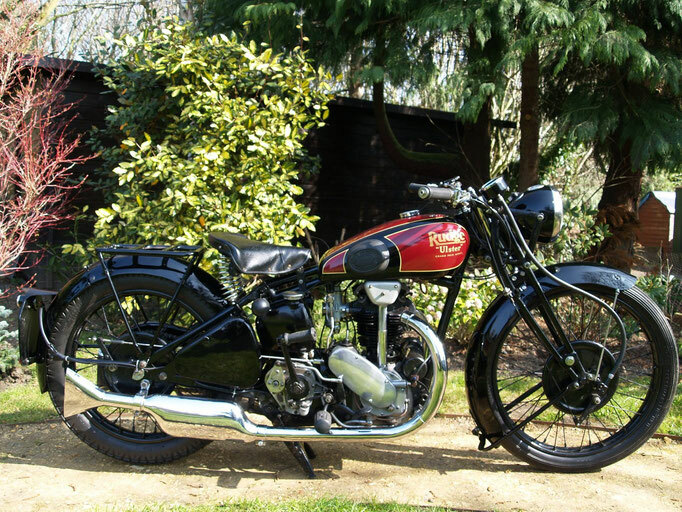 This prompted the release of the Rudge Ulster, as well as a JAP engined 250 cc and parallel 4 valve 350 cc. The Ulster was one of their most famous models. In 1931 Rudge released its first 250 cc and 350 cc road machines with the radial valve layout. 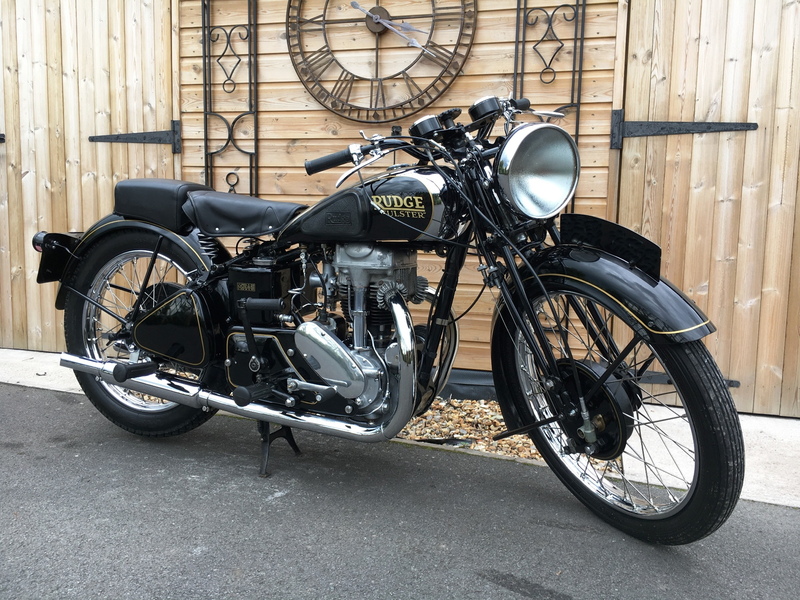 TT Replicas were available in 350 cc and 500 cc. The parallel valve 500 cc was also available in Special and Ulster models, the Ulster now having a 100 mph guarantee. 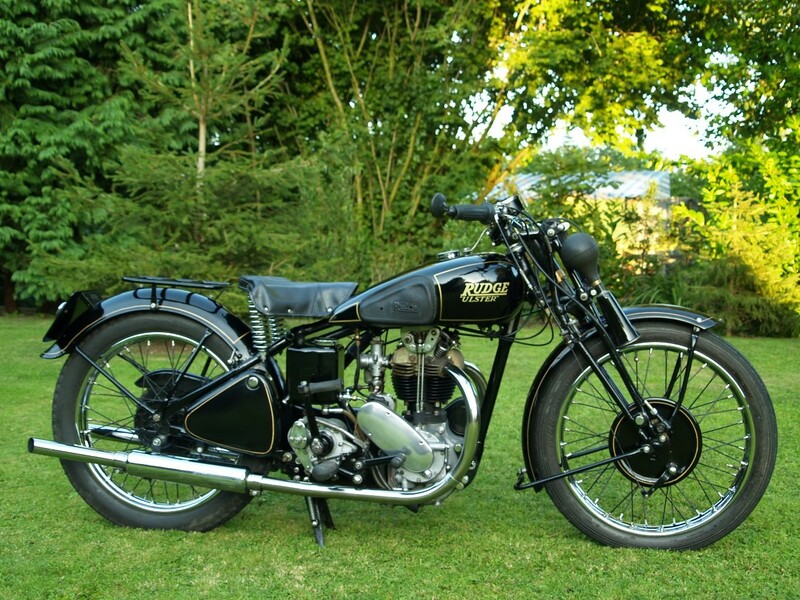 First and second were taken in the 1931 Lightweight TT, and in 1932, second and third. 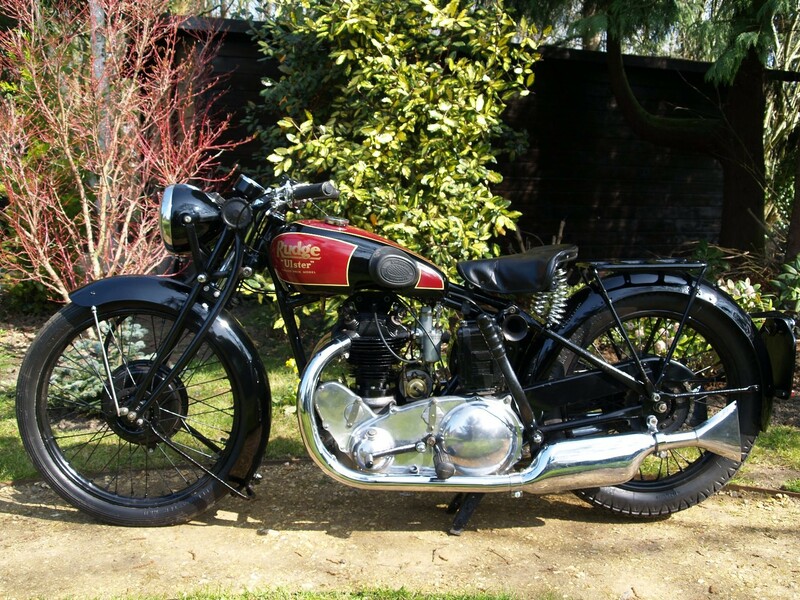 A radial head 500 cc was produced for 1932 only. 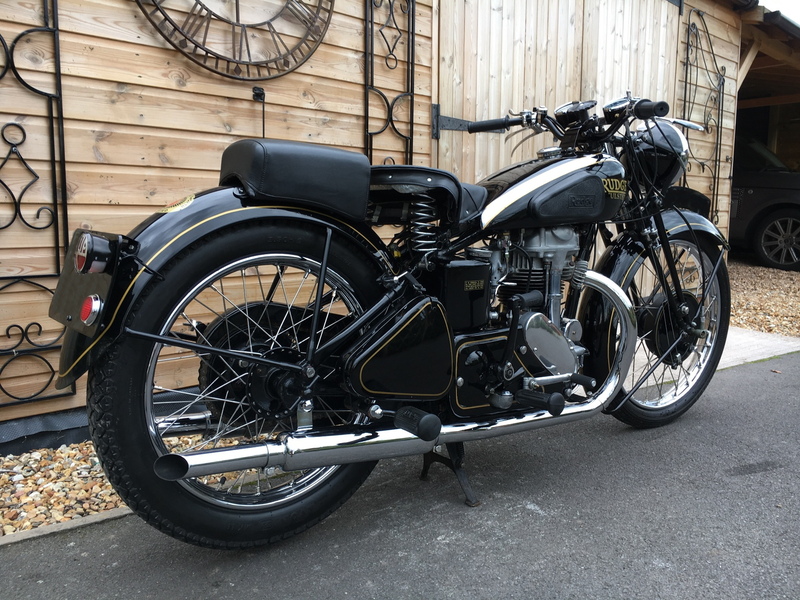 A 250 cc TT Replica was built, and the road bikes were fitted with proper oil bath primary chains, and a stand that could be operated "with just one finger". 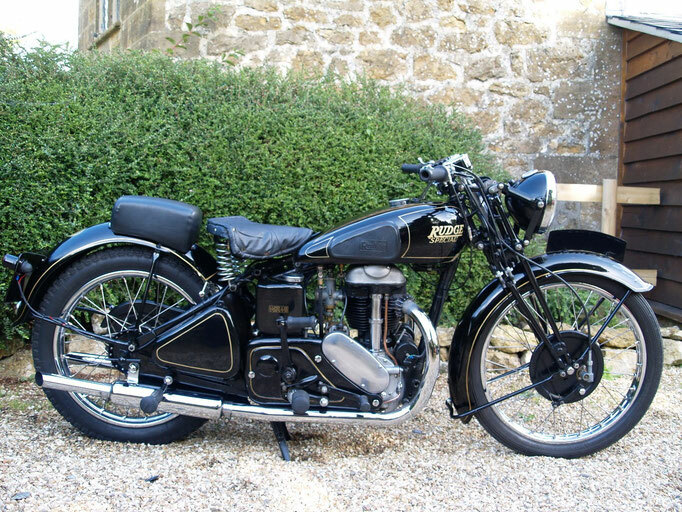 A two valve 250 cc was produced in 1935, and in 1936 the last of the radial 4 valve 250 cc model were produced, while round tube forks were introduced on other models. 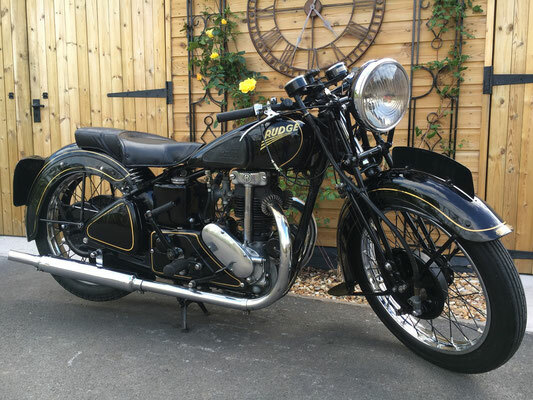 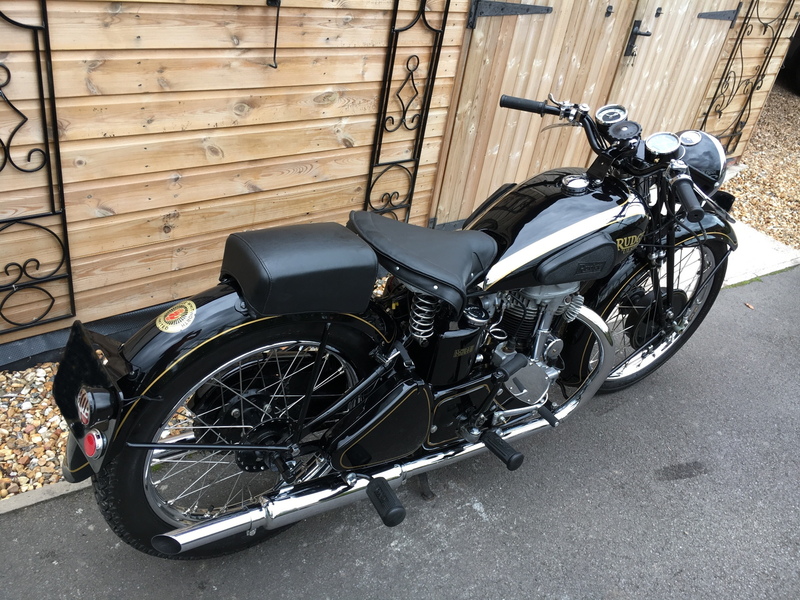 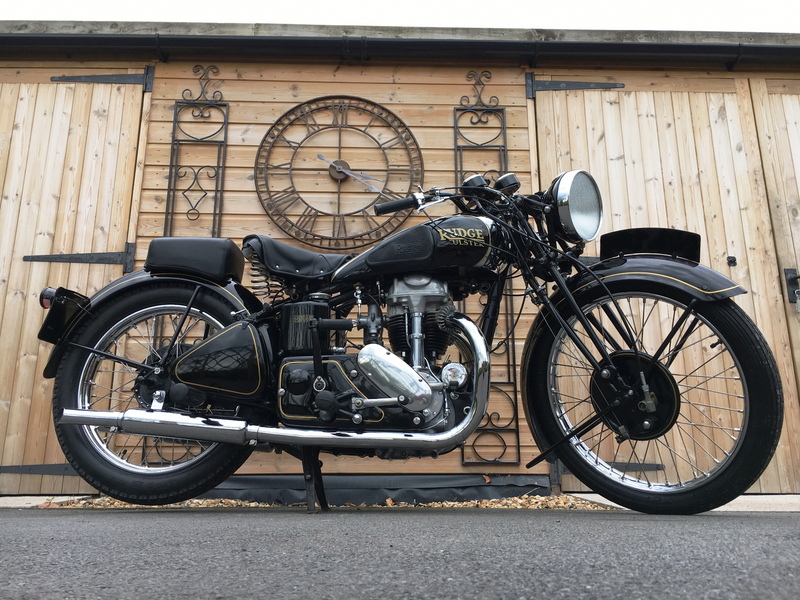 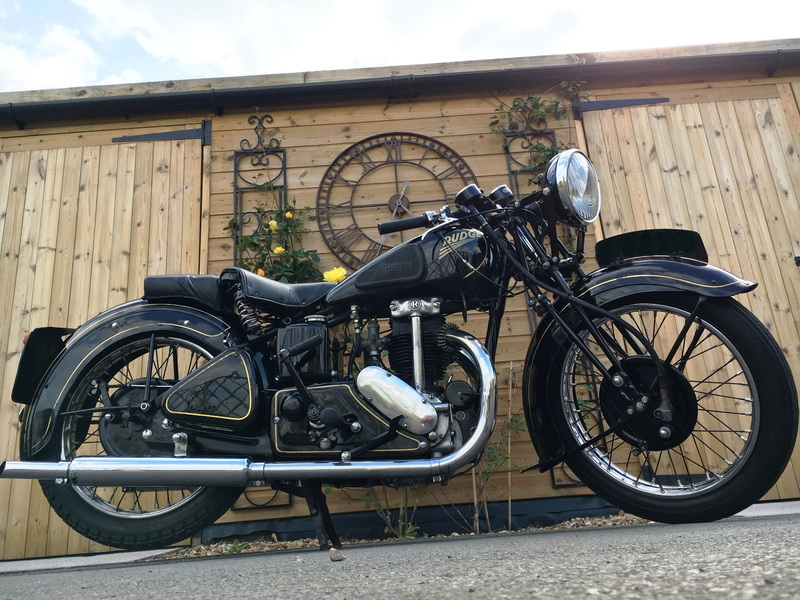 In 1937 the valve gear became fully enclosed on the 500 cc models, but finances were bad and Rudge was bought by EMI, and production was interrupted, being moved to Hayes, Hillingdon in Middlesex. 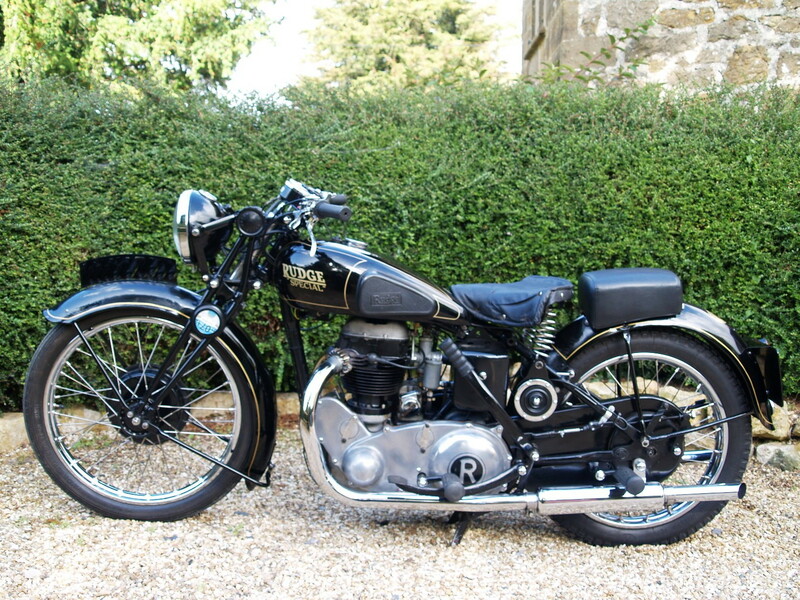 A 250 cc 2 valve Sports was released in 1938, and for early 1939 the Ulster had an RR50 aluminium cylinder head. Production ceased in December 1939 in order to convert to radar production for the war effort. 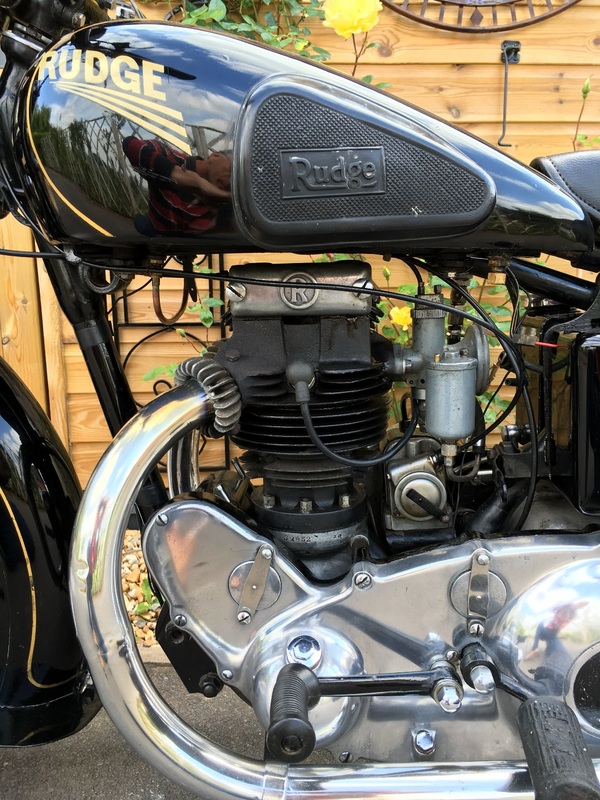 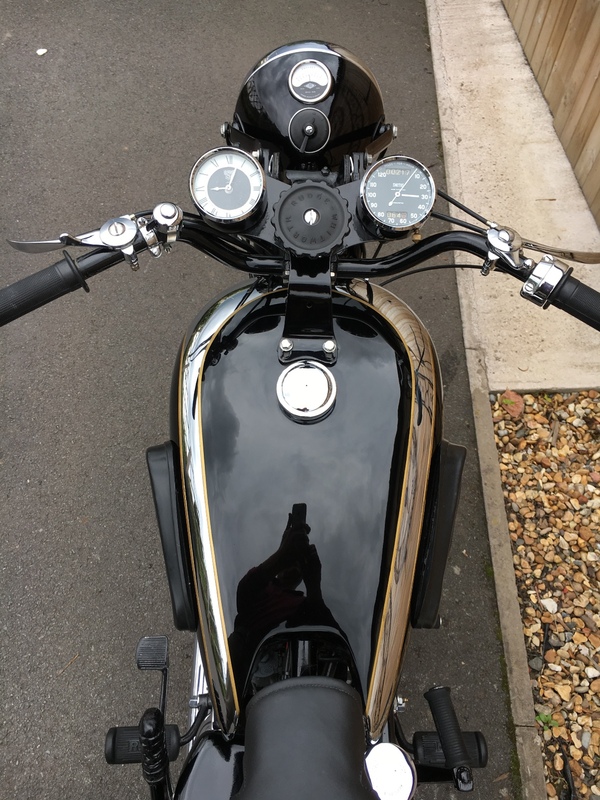 Today, the Rudge is a sought after collector's motorcycle. 1909 They started selling re-badged Werner motorcycles in 1909 and manufactured their own machines in 1911. 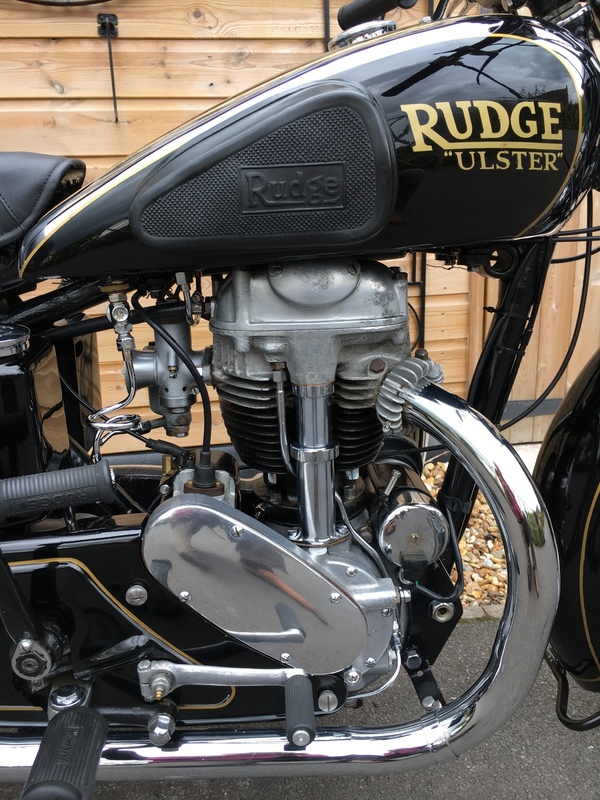 1912 The variable gear appeared on a model that was to be known as the Rudge 'Multi', which remained on their list for a decade. 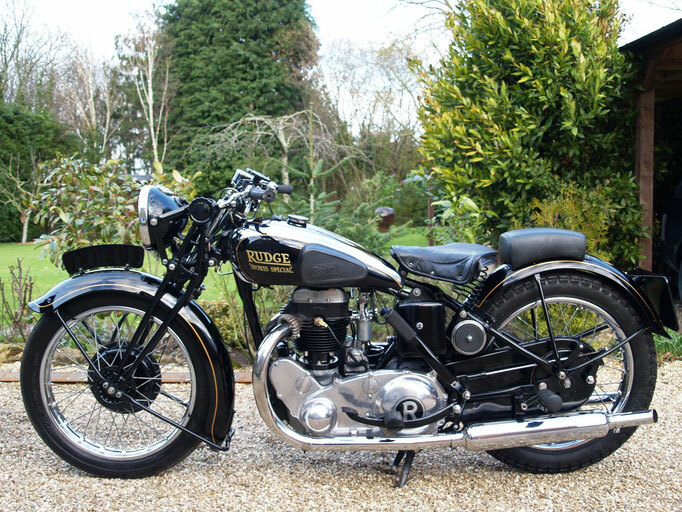 1931 The depression years meant that the firm were unable to profit from their previous TT wins as their sports models were expensive, although they managed a win in the TT Lightweight. They began to sell their engines, usually given the name of Python, to other firms - in direct competition with JAP. 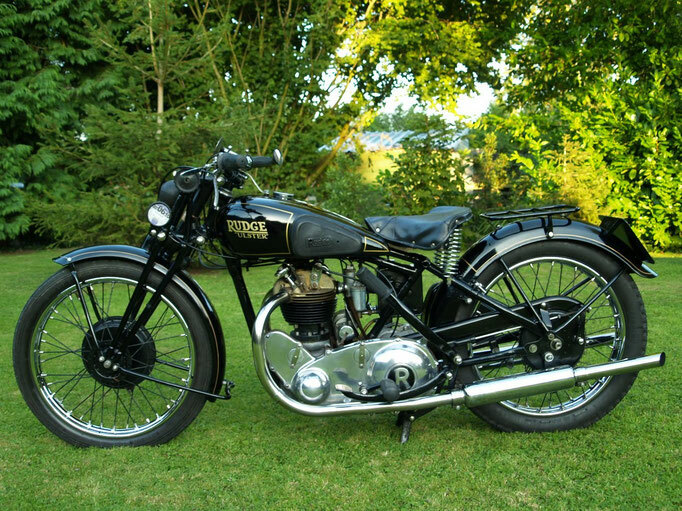 1932-1934 The TT brought them seconds and thirds. 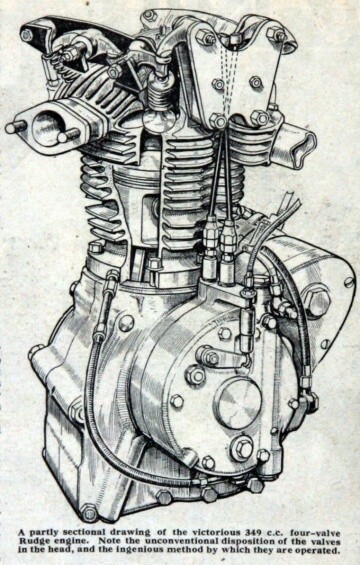 Several models had minor revisions and modifications. 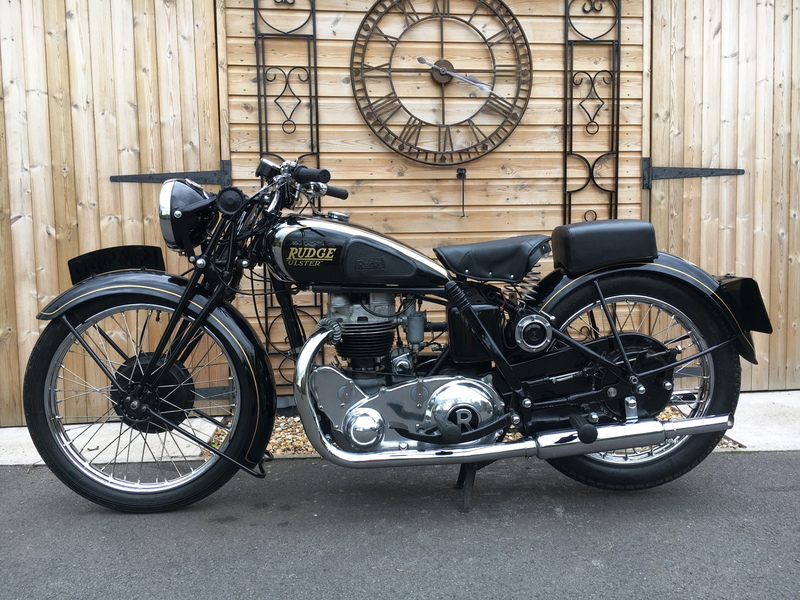 1940 An autocycle appeared and although it originated from the Hayes plant, it was later made in Kent by Norman.